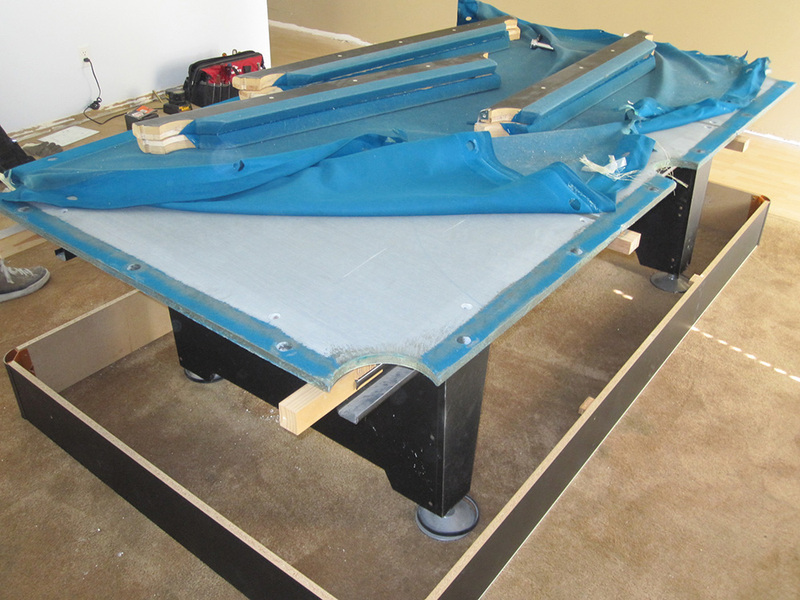 We originally started this job about a month ago for our client in Cerritos, CA. 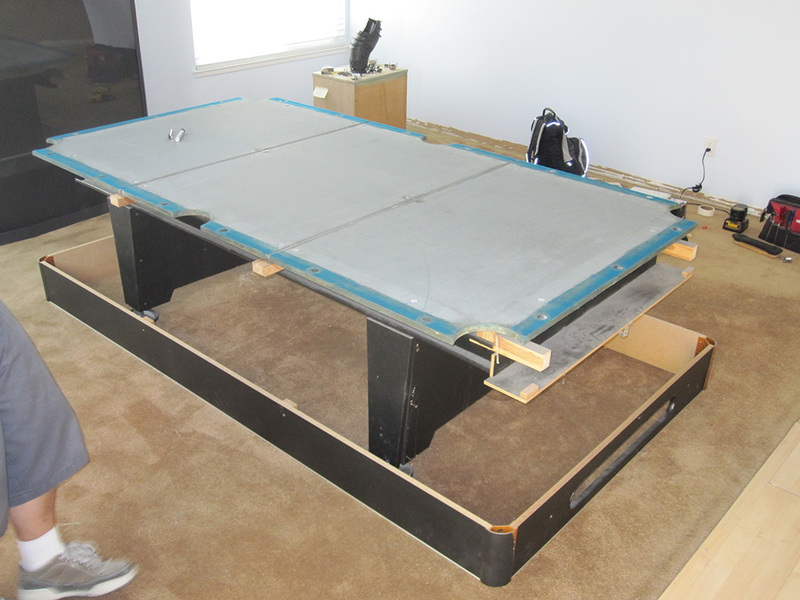 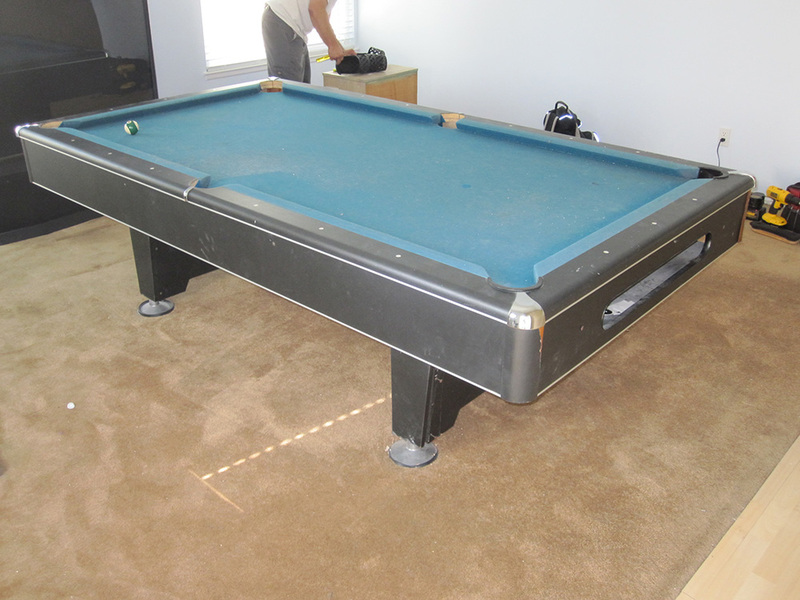 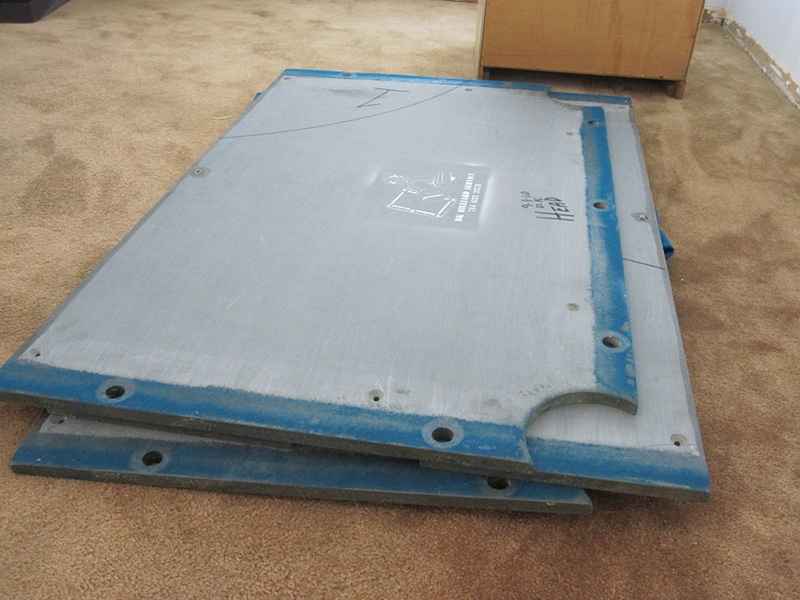 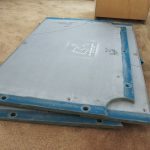 He initially just hired us do an in house move on this 8′ 3 piece slate “Eliminator” pool table. 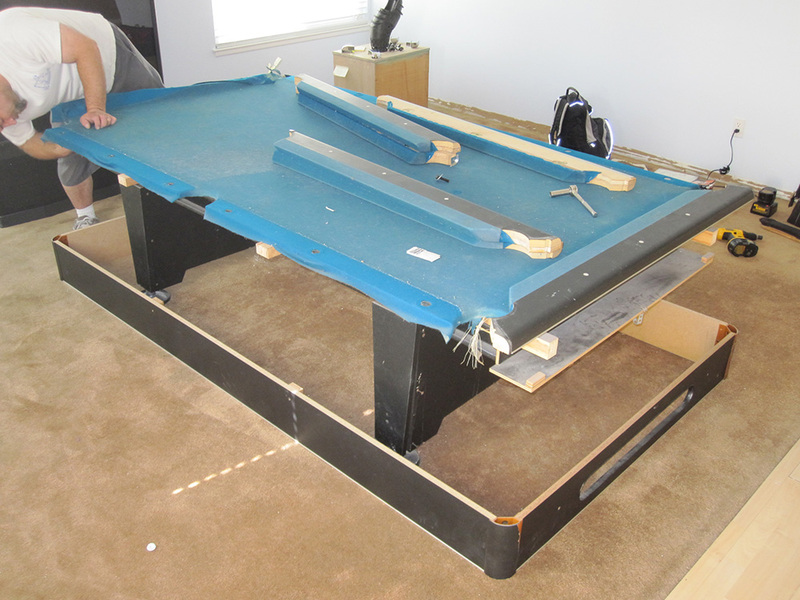 When we arrived at the house I did a routine inspection of the pool table. 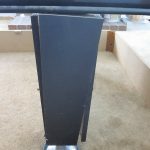 I noticed the pedestal legs were broken and falling apart. 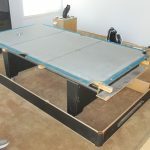 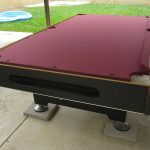 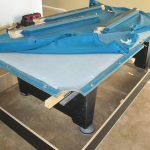 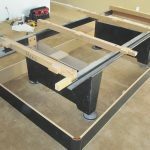 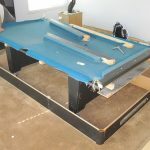 Our client and some family members had originally moved this pool table in one whole piece to it’s current spot inside of the house. 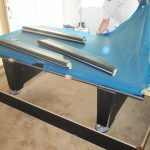 In the process they had broken the legs and leg levelers. 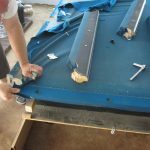 So this time around he hired a professional to do the job right. 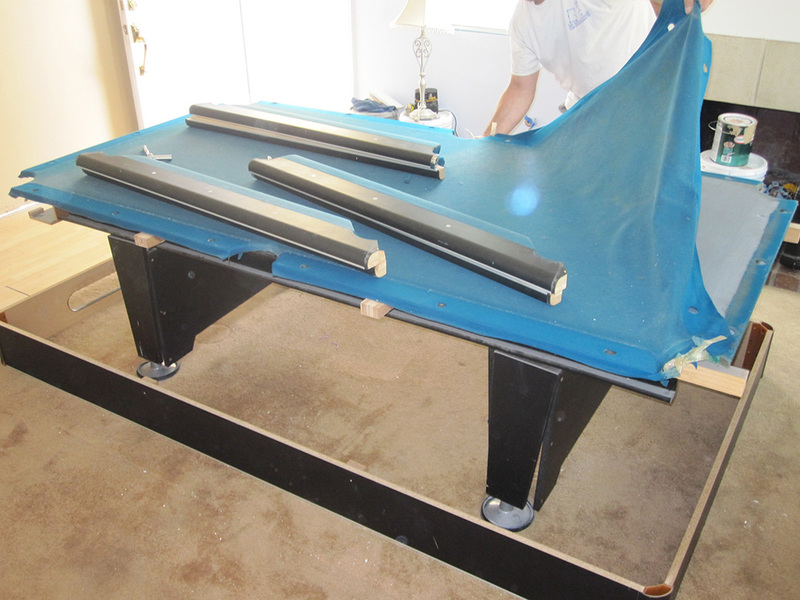 So as you can see we took the pool table apart so it could be moved outside to his patio. 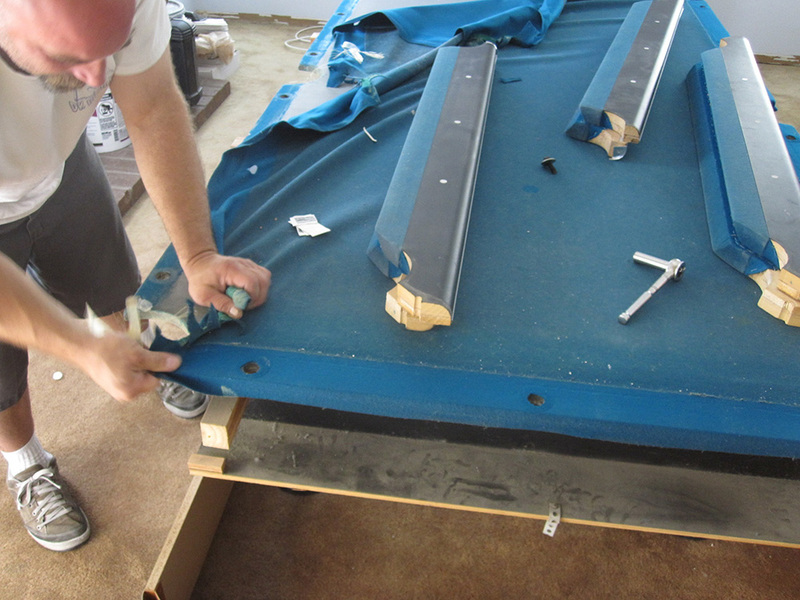 At this point our client decided to overhaul the pool table with some new felt and new cushion rubbers. 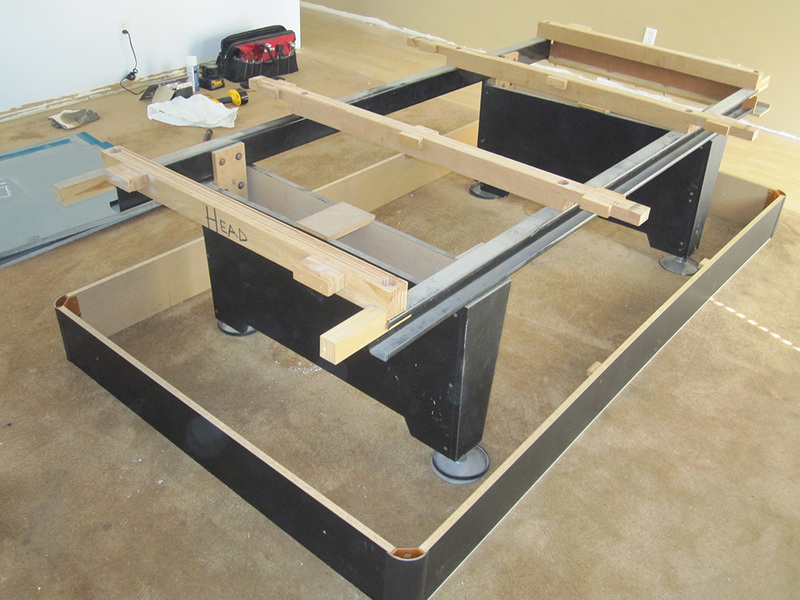 This week we’ll be going back to the client’s house to finish the job. 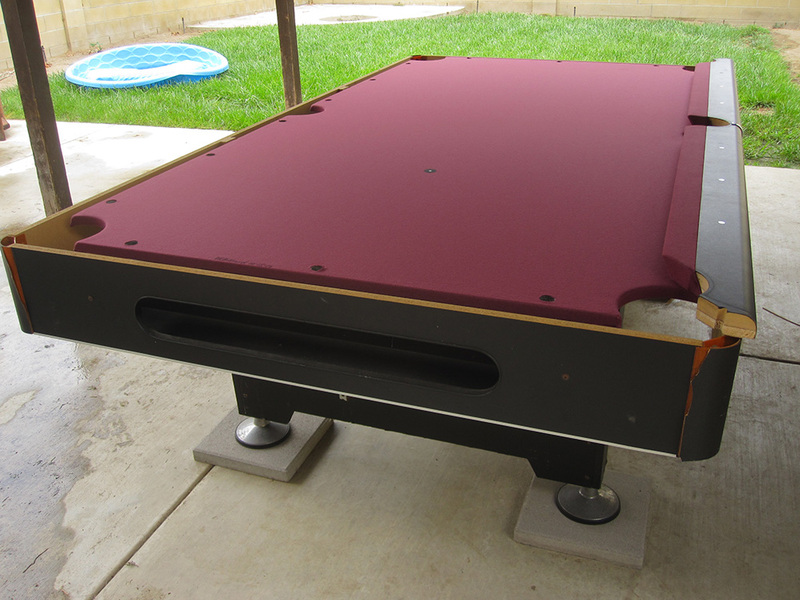 I’ll post some updated pics of the finished table complete with new wine colored felt and new velocity k-66 cushions. 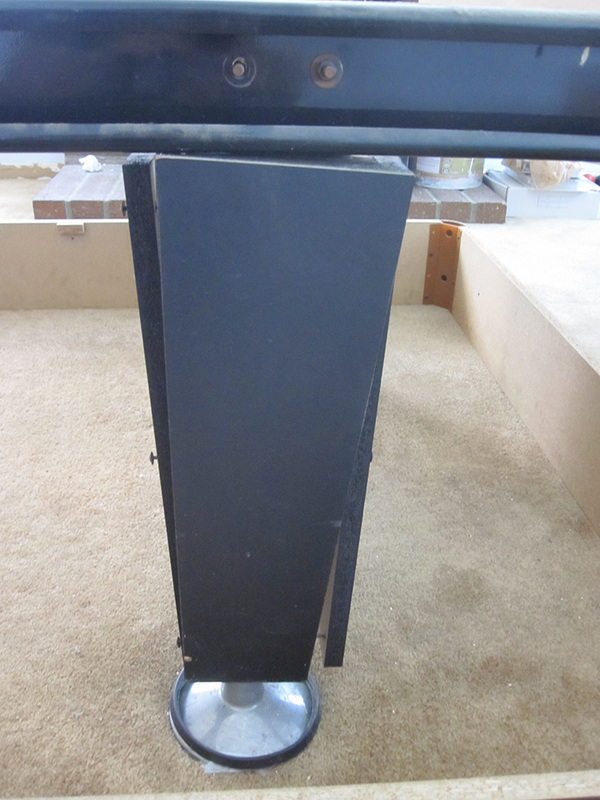 Oh, and those pedestal legs, we fixed them up like new with some Elmer’s and drywall screws.